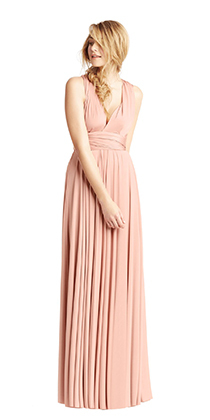 Are you looking for bridesmaid dress styles that will complement every one of your bridesmaids? 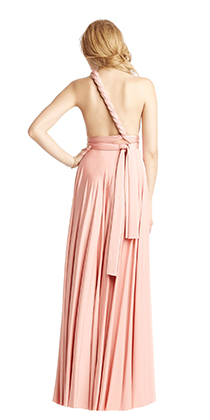 We suggest trying our convertible bridesmaid dresses, like the Ginger Convertible Maxi Dress. 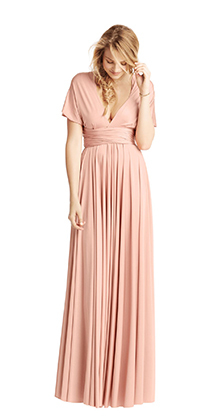 This long jersey dress is a wrap dress that offers more than 15 styles and only comes in two sizes, making choosing the correct dress size a dream! 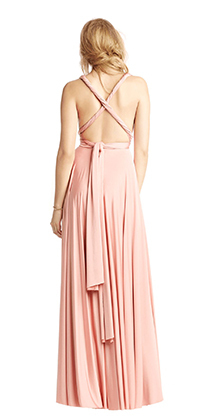 For questions on how to tie this convertible bridesmaid dress, just refer to the story above.